We are all astonished how the designer maximized the box-type shape of a house structure. We can observe how the designer arranged the furniture and the decorations to make it more appealing. Today, we will share to you a house that has a boxed shape and the designer called it as a Tetris House. The house shape is actually the same with the popular computer game named Tetris. 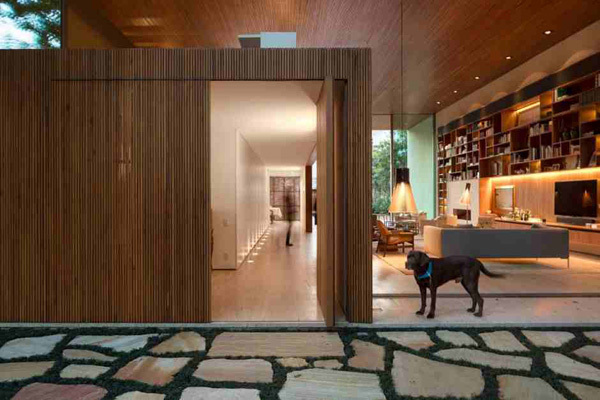 What is special about this house is that this displays how the designer strategically maximized its space. 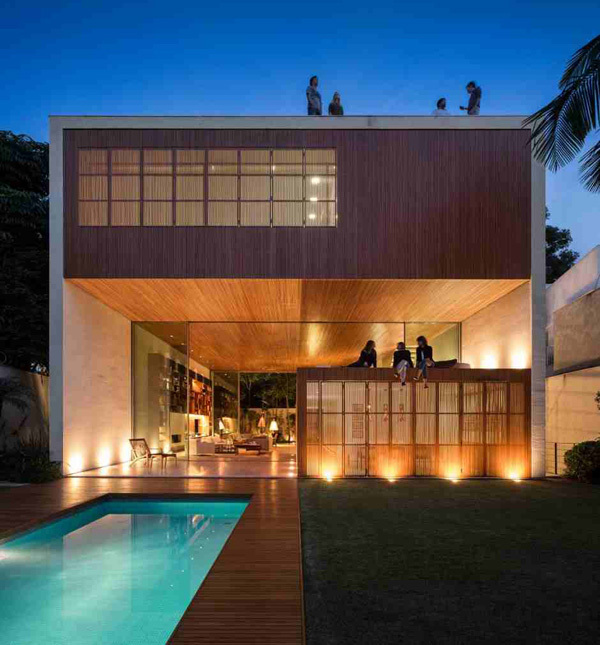 The architectural house design is found in São Paulo, Brazil. 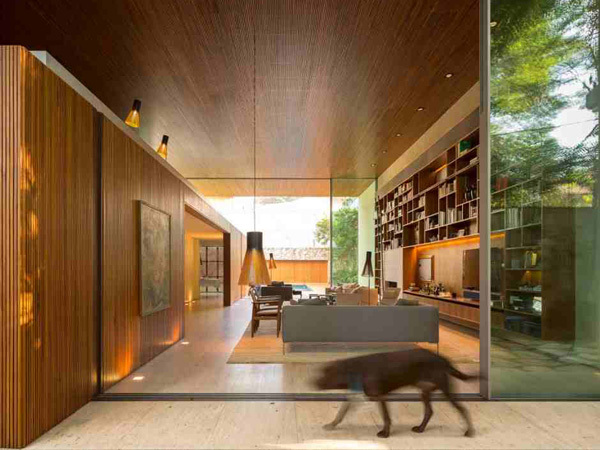 With an area of 620.0 square meters, this house is completed in the year 2012. This house has four bedrooms that include a master suite that is capable of viewing the beauty of the garden in the backyard. 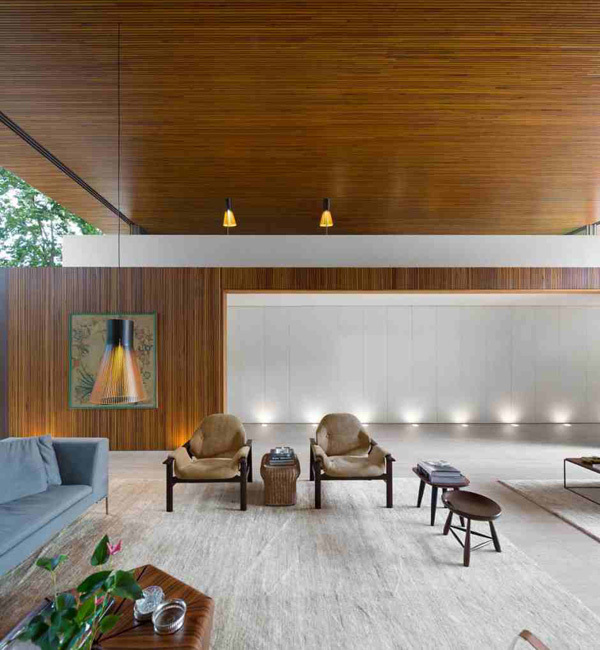 As you can see the ceiling of this living room is a slatted wooden lining that sets a cozy, intimate sensation, contrasting with spatial sensation of larger monumentality of the lot. 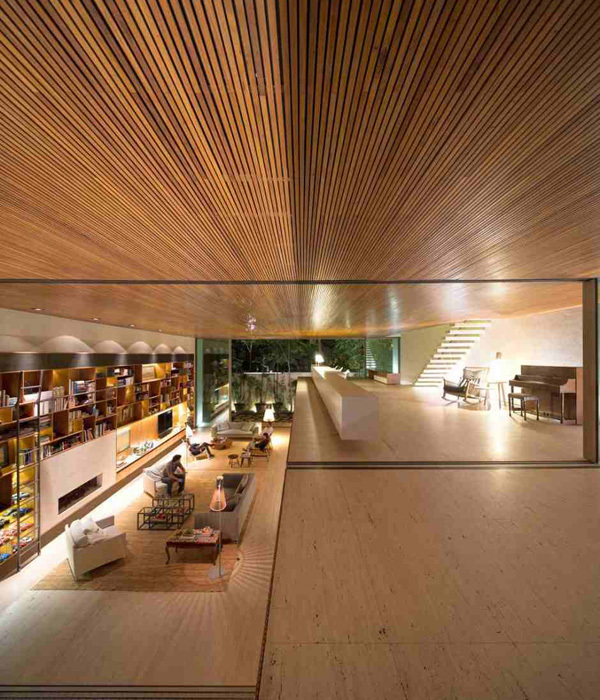 Let us take a look at the different incredible areas of the house through the images below. Who will not remember the blocks in the computer game “Tetris” when you look at the structure of the house from the exterior? Lighting system in the swimming pool area as well as in the interior creates a relaxing mood and great ambiance. Consistent box shapes are highlighted here with these amazing and vibrant lights installed in the corners. 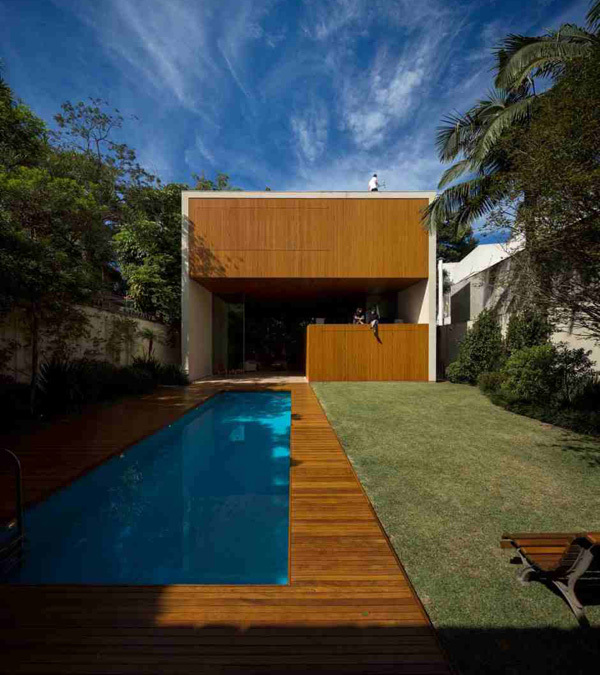 Wooden floors in this long and rectangular shaped swimming pool efficiently provide comfort. 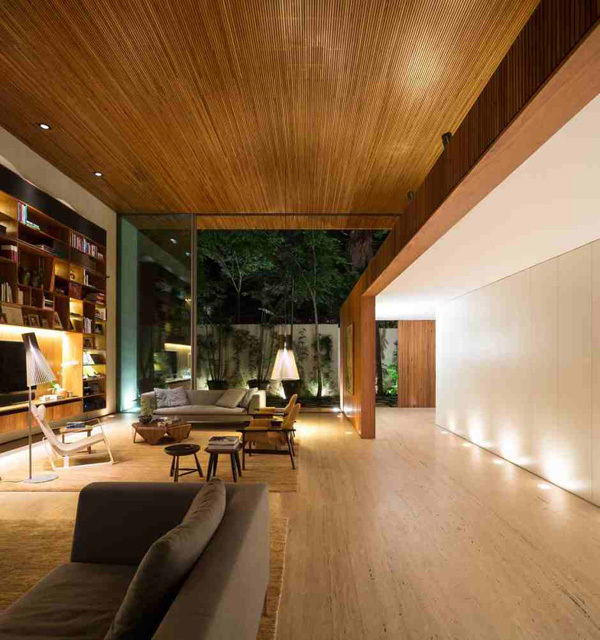 Texture and lines of the walls and floor are well displayed in this area that enhances the look of the exterior as well. Open-layout area highlighted the comfort in this space where natural ventilation is accessible. Built-in shelves also adds attraction in the living space where the homeowners can relax and enjoy the stress-free time. Extraordinary lampshades hanged in the living area presented a very glamorous ambiance. Trendy and contemporary furniture arranged in this area shows its fashionable style and design. Brown and grey color of the chairs harmonized with the color of the floor and ceiling in this area. 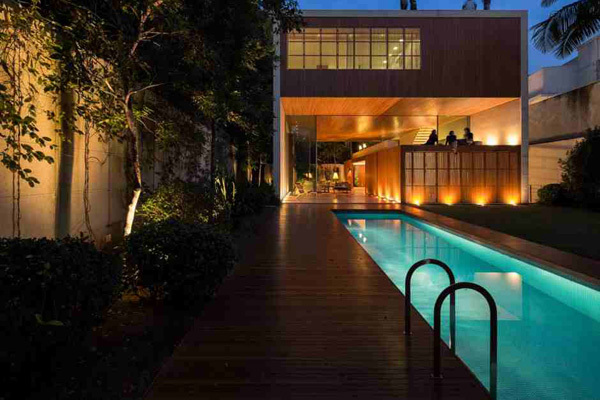 From here, the client may carefully take the full advantage of the view of swimming pool in the backyard. 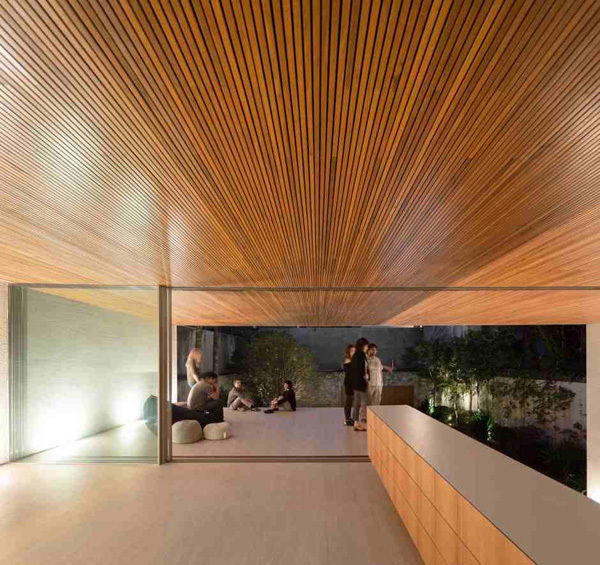 Wooden lines and concrete elements effectively highlighted its stunning contemporary look. 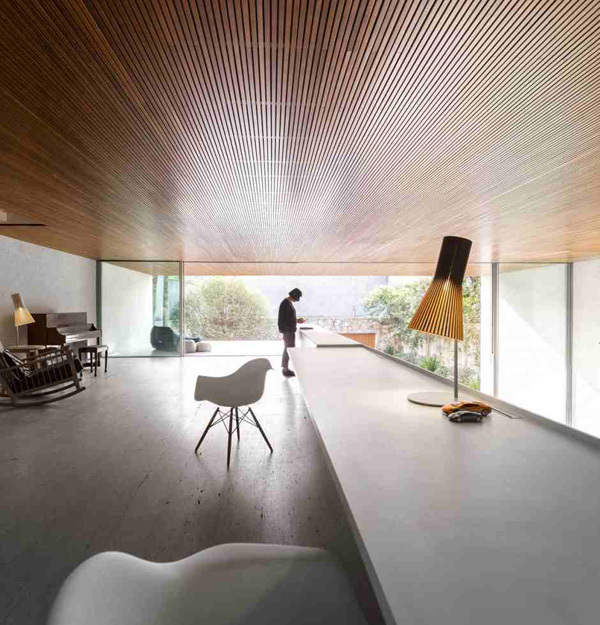 From the second level of the house, the living space may be viewed for its glassed materials. Here’s the second level of the house where the stylish chairs is also secured with this lamp. A different dimension is revealed here for the natural light is accessible every morning. As we have seen the different areas of the house above, we can surely feel the comfort despite of its unique shape and forms. With its amazing façade, we have seen the different dimensions in the living space. We may also consider the swimming pool in the backyard that may certainly provide the relaxing and comfortable experience that the homeowners are looking for. We hope that you have found new ideas from the Studio MK27’s concept and design that may influence your future house design.